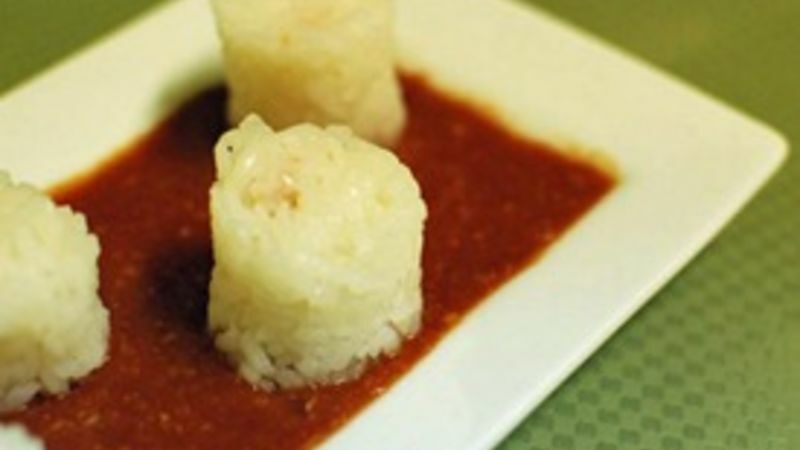 Roll it up - On a sushi roller that is covered with plastic wrap, press out a thin layer of rice. Put your fillings on the rice and roll it up! This is a little more fragile of a move with the rice on the outside, but with practice you can get it to work. Cut the roll into individual pieces and serve with the cocktail sauce.